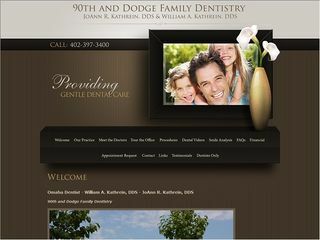 Description: 90th & Dodge Family Dentistry is a business categorized under dentists, which is part of the larger category offices & clinics of dentists. 90th & Dodge Family Dentistry is located at the address 8910 Indian Hills Drive in Omaha, Nebraska 68114-4128. You can contact by phone (402)397-3400. Location & access map for "90th & Dodge Family Dentistry"